The XIT™ Genomic DNA from Tissue kit is designed for the isolation of genomic DNA from fresh, frozen or methanol/ acetone fixed tissues. 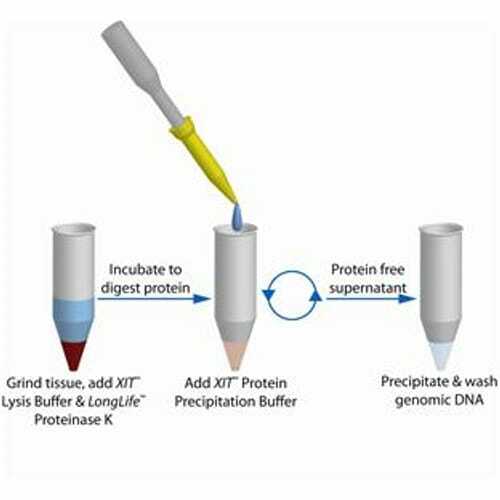 The kit uses three main steps (see figure) that are rapid & efficient cell lysis, enzymatic protein digestion and complete protein precipitation, followed by DNA precipitation. This yields high quality genomic DNA. Three sizes of kit are available for processing a total of 0.25, 2.5 and 10g of tissue. The purified DNA has a A260/A280 ratio between 1.7 and 1.9 and is up to 200kb in size. 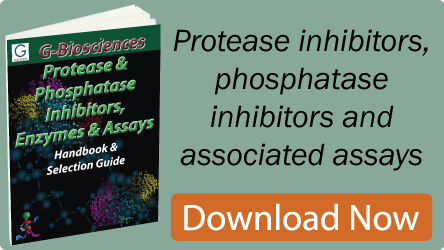 The yield is approximately 0.5-10µg/mg tissue. Suitable for archive quality DNA.